Should there be any restraint of trade rules when it comes to sport? It is rarely acknowledged that sporting stars are trades people. Yet it is a simple, uncomplicated and not exactly earth-shattering factof life. Like a typical electrician or plumber, our sporting stars have tuned up on a particular skill, and applied this skill for their own financial gain. Fans are clients, providing patronage through tuning in on TV, buying tickets at the stadiums, or even (for the more obsessive) purchasing merchandise. In golf, tennis, and occasionally recently in cricket, you have independent contractors – but the more likely scenario is that our athletes have a main employer. An employer completes this quite conventional business set up. Rather boringly, you can boil down sports to employers, hiring employees, to perform a service. The services rendered are specialised, and performed to a high-level. The supply of talented, high-level sports people across the world is low. Consequentially, salaries are higher – varying of course in line with the size of each particular market. For perspective, Dan Carter and Richie McCaw earn around half a million dollars a year. Fellow New Zealander, and little used basketball player Sean Marks makes more than double that from sitting on a bench for eight months of the year for the New Orleans Hornets in the NBA. NBA superstar LeBron James earns 16 million. Tiger Woods? Multiply that by a few again. Sports lives and dies by the market. When Terry Serepisos hit headlines for his financial strife, one of the first items on the agenda in the news was who was going to protect the Wellington Phoenix. Everyone knew very well what would happen if the inflow dried up. We expect profits. We expect full stadiums. We may know in our heads that sport is a business. But we don’t really think and feel accordingly. Sports stars are glamourised, and absorbed into the mythical realm of celebrity. We don’t expect to see our mechanic or plumber on the cover of Woman’s Day. Then we get attached. Sporting attachments spread across many different rationales – geographical, personal, personality, biographical… you could go on. Turn over the first page of the text-book Sport Marketing: Managing the Exchange Process and it is summarised perfectly on the first page. “Sport is emotion-laden, and consumers have a tendency to form close, long-lasting bonds with sport-organisations.” This isn’t a revelation. It is not something you have to dig for. People have long waxed philosophical on the complex emotions that sport raises. Harvard Professor Dr. Walter B. Cannon remarked to the New York Times nearly a 100 years ago that “physical contests will provide outlets for warlike emotions”. 100 years ago, the stakes were probably a bit lower when sport was a far more amateur and less financially rewarded enterprise. Sport has long taken off its amateur hat in New Zealand. Most would remember the mid-90s shake up in rugby, and the national paranoia that the nasty allure of cash would somehow bastardise our precious All Blacks. Some, but not all, of the market conflicts of professional sports are currently circumvented in New Zealand by central sporting unions employing all of the labour. This in itself is relatively archaic when considered within the full global spectrum, and is compounded by other restrictive attitudes, such as that of the New Zealand Rugby Union not currently allowing private investment in sports franchises. While sport is a fully professional, fully legitimised business, these tangles of emotions that we bring in manifest themselves in a myriad of market restraints and potential blocks in trade. Market distortions ostensibly justify themselves as being for the good of the game, and when you’re dealing with a concept that broad and slippery, anything can happen. It is public policy that a contract should not unreasonably act as a restraint of trade. But there are exceptions: if the restraint is considered reasonable in reference to the interests of those involved, then it may be governed by the special circumstances of a particular case. The problem being in sports you have the competing interests of the public, team, league and athelete. As local Wellington lawyer Graeme Edgeler put it, “the general point is that restraints of trade have to be reasonable and necessary to be lawful, and they’re generally not”. The most common practices in sports administration that serve as deliberate restraints on trade in sports are salary caps, and revenue sharing. These are put in place primarily to reduce the market dominance of any one team or franchise. Any league would lose its appeal slightly if one team continually held all the chips and won year in, year out. Although the situation would not look too unlike the balance of power in world cricket currently – where by dint of a larger built-in audience and therefore income, the Indian board casts a long shadow of influence. Such interventions would be viewed by some as being a necessary and desirable equivalent of the anti-trust rules and regulations that exist to prevent the monopolistic control of a market. By others, it would be seen as cruel and unusual practice, and a contradiction of the free-market way. To such people, it would be the equivalent of telling banks how much they could pay their top strategists, and forcing them to share out their profits amongst other banks. But competition between rival banks isn’t as important as having a good back and forth competitive market between sports teams (supposedly). This does do some good from a sporting perspective. For one thing, it helps regulate the costs of franchises (a good thing when you assess the massive debt burden of some English football sides) and spreads out the available talent. A competition such as the NFL employs both a revenue sharing model – where 40 percent of all ticket receipts, from all teams, go in to a pool of funds that is then redistributed – and a salary cap, and is one of the most even and varied leagues from year to year. After all, Though having salary caps in place that may help to keep their own codes internally competitive, sporting leagues can then become vulnerable to other entire leagues and codes. The variation in global markets means that salary caps will vary wildly. 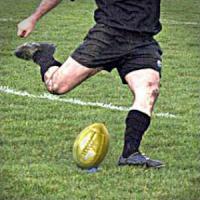 When rugby was amateur, and rugby league was not, players were changing codes at a rate of knots. Now it is vice-versa. A rugby league player like Sonny Bill Williams can’t make the money in that code that he can make by playing rugby in France. And so he changes codes. Subsequently, he is then branded a traitor by all of the fans who had been rooting for him when he was with the Canterbury Bulldogs. But all he has done is try and get a pay-rise. Looking out for yourself is often deemed unacceptable in team sports. But I ask you, what would you do if someone came in and told you that your salary was going to capped at $52,000, out of fairness to other rival companies? You’d probably leave as well. When the dust settles, and contracts end – there are often even more restrictions to how a sports person can practice their trade. Despite pocketing $300,000 dollars in severance money when Sonny Bill Williams left the club, the Bulldogs still imposed a ban on him from playing for any other NRL club until 2013. New Zealand Rugby players that turn their backs on central contracts to head overseas are denied the opportunity of being a part of the All Blacks. Again – this is a move that is apparently in everybody’s interest, but is in part arbitrary bribery to keep players from leaving. It helps keep our own local rugby competitions important – but the NZRFU policy comes across (in some lights) as being driven by an insecurity in releasing our players overseas, even if it could have the added benefit of improving the quality of our national side. 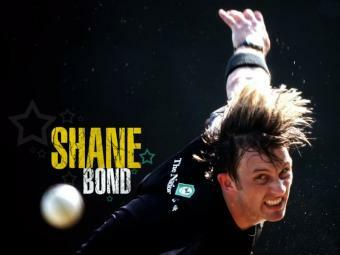 The most arbitrary, and famous recent case involved poor old Shane Bond. Given clearance to sign with the ICL by New Zealand Cricket at the end of 2007, only for the IPL to gain official ICC sanction and favour at the start of 2008, which swayed local cricket boards (heavily influenced by the Indian cricket board) to force out those who had signed. Shane Bond went from trying to make an extra dollar on the side legitimately, to being in breach of contract and unable to play for New Zealand. And for what? He had made a decision with no more real world consequence than saying that he liked Pepsi more than he liked Coke. The only probably in that situation was however, that some very powerful people were trying to pretend as if there was no such thing as Pepsi. Forced into a corner, Bond honoured a contract he signed in good faith. Subsequently, he was unable to play for his country for close to two years – and was allowed to rejoin the fray only when the “rebel” league he joined was a rotting skeleton and of no competitive risk. Like Sonny Bill Williams, Bond was labelled a traitor to his country by some. But, consider: that cricket salaries in New Zealand are between five and ten times less what they are in Australia, that Bond’s recent retirement at 35 illustrates how short the window is to earn in a physically demanding sport, and that Bond has a young family. If you force yourself to only react to the rational, market realist side of your brain, it is a pretty obvious choice. Restraints of trade in sport are protective and paternalistic. They are an acknowledgement that left to its devices the free market is a brutal environment where the vulnerable won’t survive, and those “free”markets will evolve over time into relatively rigid virtual monopolies. Take the NBA, where you have to be 19 to be drafted, and your first three years are on a reduced pay, rookie contract. This is a reaction to try and protect a raft of overenthusiastic and talented teenage athletes from the perils of piles of money, and foster them towards becoming mature players with lengthy careers. A perfectly sound argument could be made that this is a reasonable block, in the best interests of all involved. But much in the same way as salary caps and revenue sharing is, it is still an unnatural block on business being conducted. The market is distorted; a senior player, past his prime is allowed to continue when the market might have found a younger, more skilled replacement, while 17 and 18 year-old players are held back in their ability to make a living. The market does not instinctively endorse the morals we associate with team sports. Modern sport is a business, but administrators have long been in touch with the idea that left unchecked, the nature of business will ruin sport. But what is the worst bit about this? The crushing anxiety that sports administrators must feel about what may happen if the market is left unchecked, and about the restrictions that they therefore place on sports people doing business? Or the market, and the notion that the primal allure of money will always spark a greed that knows no boundary or goodwill, and would not acknowledge a concept as wishy-washy as the good of the game? It is an argument filled with subjective philosophical angles, but at its heart, as with all such discussions, are people. Whatever the answers are to the above questions – never resent a man for trying to make a living.